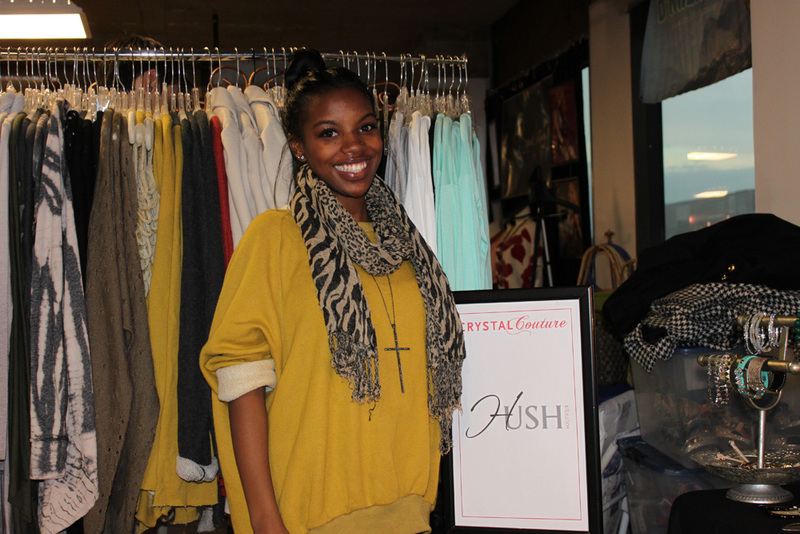 Rosslyn residents seeking to maintain their neighborhood's reputation for elegance and style should head to Crystal Couture for a wide range of boutique fashions from local designers. Crystal Couture is on every night this week from 6pm to 10pm at 251 18th St in Crystal City. That's right next to the Crystal City metro, a Capital Bikeshare station, and additional own-bike parking. Now is the time to add more special sparkle to your wardrobe. Philissa Williams of Thembe Fashions told the Ode Street Tribune that she was a bike courier before she became a fashion designer. While bike couriers are generally known as a grungy, hard-scrabble crew, Philissa pioneered being a skirt-wearing bike courier. Now she offers clothing ranging from casual to evening gowns. She says that she refuses to wear any clothing that does not allow her to ride a bike. 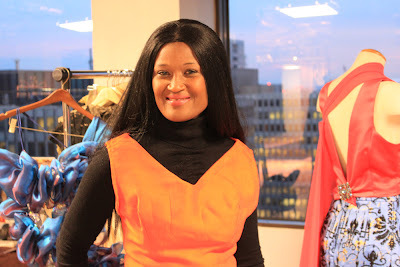 Check out Philissa's fashion line for clothes that allow you to be active. 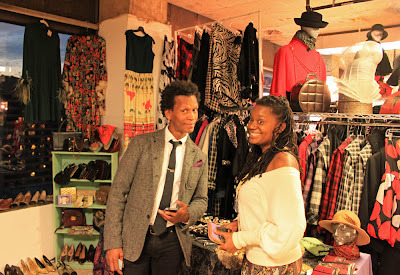 Speak Vintage showed bombshell vintage clothing. These fashions could put you in the spotlight in the Art Deco Society Vintage Fashion Show. Don't worry if the fashion world has passed you by. You can go backwards with clothing from Speak Vintage. 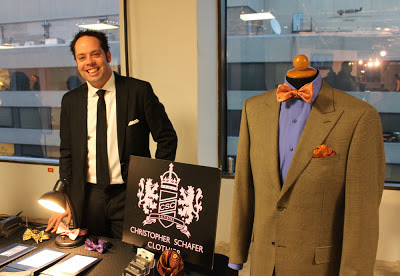 Another of the distinguished designers at this year's Crystal Couture is Christopher Schafer. He designs men's formal wear. But he doesn't just work with investment bankers. He recently put together a suit for a member of Jane's Addiction, an alternative hard-rock/metal band. So if you're a head-banger, a martini sipper, or both, and you need to look sharp, Christipher Schafer can help you out. Afua Sam of Studio D'Maxsi Designs mixes cloth from her Ghanian heritage with creative ideas from around the world to create gorgeous custom gowns. She had a dress among the Grammy Awards nominees and another on a mover-and-shaker in the recent Obama presidential inauguration. Her dad was a musician, and a sense of rhythm, color counterpoint, and compositional unity characterizes her fashion work. She makes custom dresses for women of all sizes. Many other interesting fashion designers are at Crystal Couture. Nelly Kolodny of NeuNel is a Ph.D. Chemist turned fashion designer. She offers elegant European clothing. She is also exploring technofabrics with bionic membranes that respond to the human body. Gennet Purcell of Maven Designs said that it takes her a week's work to sew a custom dress. And she has produced dresses on that tight of a deadline. Mi Chic, a mother-daughter family business, has opened a boutique store in Washington, DC, that sells ready-to-war casual/contemporary clothes. Mom has been in the fashion business, including sewing custom clothes, for about two decades. Hush is a born and raised in Washington, DC, fashion brand and boutique. Why buy some Madison Avenue label when you can get real, personal, custom fashion? 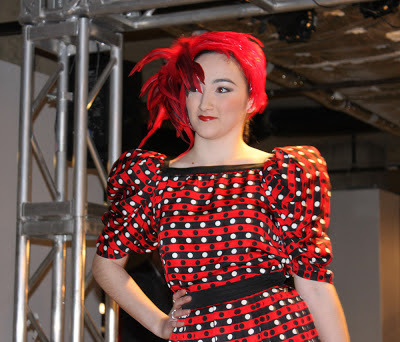 In addition to boutique fashions, Crystal Couture also offers runway shows and free make-up and hair makeovers. Indulge, splurge, and prepare to be seen on the streets of Rosslyn.